Personal Injury Attorney | Johnson & Johnson, Ltd.
A serious injury to you or a loved one can create a very difficult situation in your life. When injury or death has occurred due to the actions of another, it may require attention from an experienced personal injury attorney. The results of such an incident can be devastating and you and your family may need money for medical expenses and other costs. You deserve compensation for your injuries. 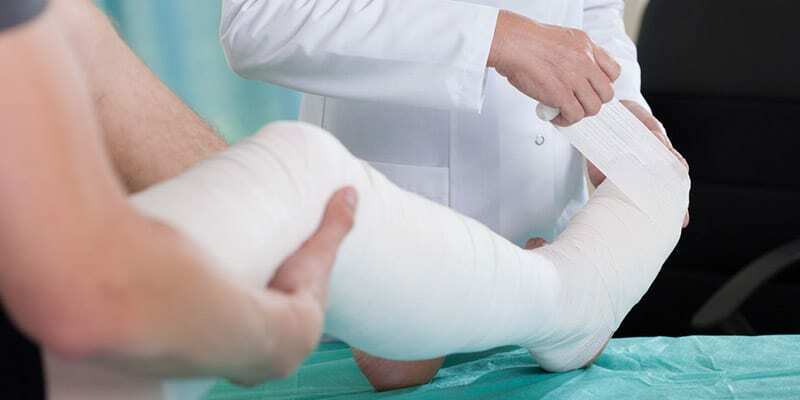 Contact the compassionate personal injury attorneys at Johnson & Johnson, Ltd. to handle your injury claim quickly and achieve the results you want. If you have suffered any of these injuries you may deserve compensation. Speak with a knowledgeable personal injury attorney as soon as possible to evaluate the situation and discuss the details of the injury. Every situation is different and has a unique set of circumstances. Generally speaking, you must be able to prove both liability and negligence for a personal injury lawsuit. A personal injury attorney evaluates your case to determine whether it satisfies the basic legal requirements. If another person is responsible for the accident the next thing to consider is negligence. Negligence may be an action, or lack of action, that resulted in the accident and injury. Any time an injury has occurred it is helpful to immediately consult with a personal injury attorney to discuss the details of the accident. The first step in a personal injury case is to speak with a qualified personal injury attorney. Your personal injury attorney will discuss the details of your situation to determine what options are available to you. While not all accidents qualify for lawsuits, many do. It is essential that you talk to your personal injury attorney before you speak with the insurance company. As expected, many times an insurance company will want to settle the case as quickly as possible for as little compensation as possible. This could leave you without the funds you need to handle the expenses associated with the injury. Remember that you and your loved ones deserve the money to pay for the expenses, pain and suffering, and other costs that have occurred as a result of the injury. A reputable personal injury attorney will help assess your case to determine how to proceed. Surprisingly, most personal injury cases are settled before they get to court. This happens for a number of reasons. It is typically in the best interest of both parties to resolve the case as quickly as possible. Going to court may take much longer than you may like. Additionally, many companies and others prefer to settle the case in order to prevent negative publicity. On this basis it may be in your best interest to hire a personal injury attorney with a strong negotiation background to get top results. Negotiation of a fair and equitable settlement is the responsibility of your personal injury attorney. Accidents occur quickly and without warning. The first and most important thing to do is seek proper medical attention. The injuries may have an impact on the injured person as well as the entire family. Contact a personal injury attorney as soon as it is reasonably possible to do so. The sooner you seek legal help the better your personal injury attorney will be able to help you. When possible, do not make any statements to police, insurance agents, or other attorneys until you first talk to your own personal injury attorney. Remember that there are time restrictions that limit how long you have to file a lawsuit. It is always best to talk to a personal injury attorney as quickly as possible after the injury occurred. A skilled personal injury attorney takes immediate steps to resolve your case. Your personal injury attorney will interview you as well as any witnesses to the incident. If a police report was filed, this will be reviewed. Other steps may be taken to obtain important details. For example, if the case involved a vehicle accident, a reconstruction team may be required to provide precise details. When a slip and fall accident has happened, your personal injury attorney may visit the location where it happened to take pictures and measurements. If surveillance cameras are located in the area they may be reviewed. All data regarding your case will be located and analyzed by your personal injury attorney to ensure the best possible outcome. Contact Johnson & Johnson, Ltd. If you or a loved one has been injured or has died as the result of an accident, contact Johnson & Johnson, Ltd. Our trusted legal team has the experience and expertise necessary when handling complex personal injury cases. We are a law firm of passionate litigators with locations in Chicago, Homewood, Joliet, and Orland Park. Contact our firm today to schedule a consultation with a personal injury attorney.